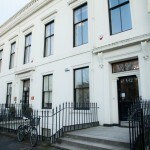 Live Language was established in 2002, providing high quality English courses in Glasgow, Scotland. 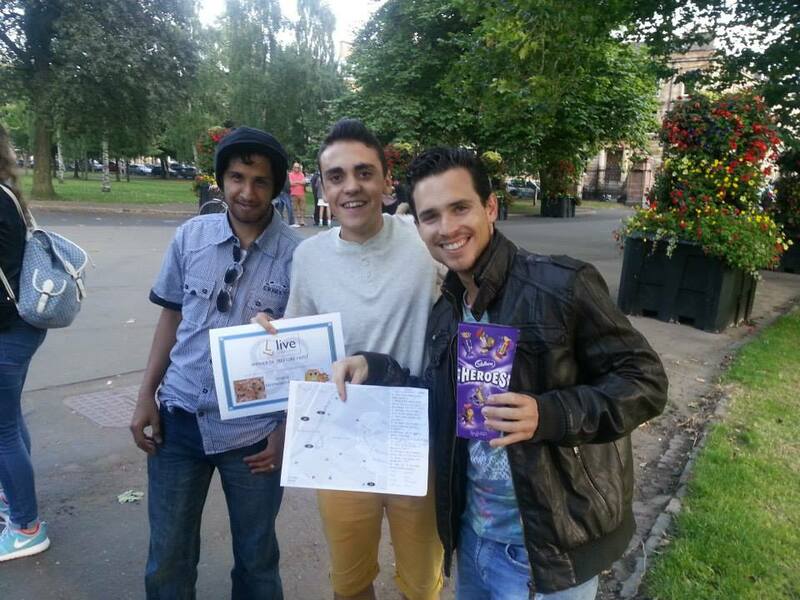 We offer fun but focused English Language tuition for Group, Private and Corporate customers in the vibrant city of Glasgow, Scotland. 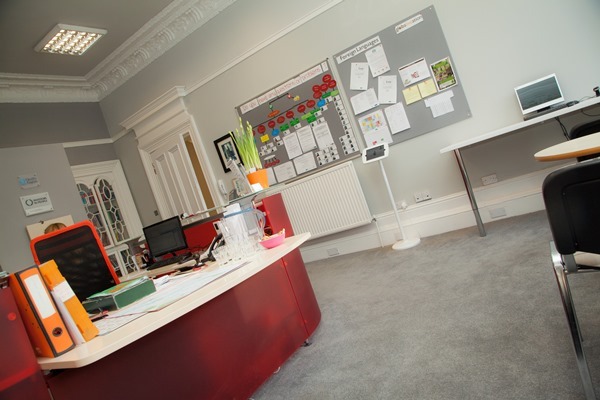 Our class sizes are smaller than many schools and universities, which means that our students receive more attention and we can be more flexible to their needs. We offer General English, Academic English & IELTS Preparation classes (for access to University and College Courses), Business English and FCE, CAE and English for Work course for students during the summer months. Your learning can be as part of a Private or Group class – or both if you want to focus on a particular area of your skills. All our teachers are native English speakers and most have at least one degree. They are chosen for their experience and commitment to teaching. This commitment to providing high quality teaching has resulted in all students voting our teachers as either ‘Excellent’ or ‘Very Good’ in our end of session questionnaires. We are dedicated to helping students achieve their goals and this is reflected in 93% of them saying that they would recommend Live Language to their friends. In fact, more than 30% of our students come here because Live Language has been recommended to them by their friends. We have a dedicated member to look after our Social Responsibility – we organise language exchanges with local people, manage volunteering placements, and ask local organisations to come to our school to give presentations to our students. Our ‘Activities Programme’ has something to suit everyone. 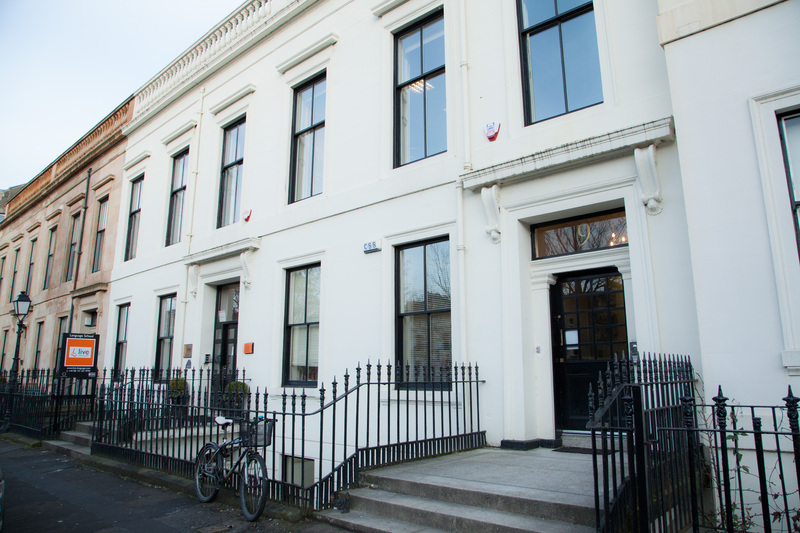 Live Language is next to Kelvingrove Park in the vibrant West End of Glasgow and is only 10 minutes walk from the city centre. We have a good mix of nationalities in our school making it essential that you speak English in order to make new friends and make the most of your lessons. The course is designed for students who are preparing for study in UK universities at undergraduate or postgraduate level. The courses are run in conjunction with the General English classes to provide an academic-focused extension. The academic skills component will form a sound basis for further study at a British institution of higher learning. You will develop your reading and writing skills in preparation for academic study. You will also enhance your listening skills and speaking ability. You will practise common study tasks such as presentations, essay writing and note-taking. These communicative CAE exam course will focus on the five areas of the CAE exam. The CAE classes are based on lively topics which engage students in real life situations while developing exam techniques. Each lesson will allow students to practise and improve their speaking, writing, reading and listening and develop grammar, vocabulary and pronunciation.The CAE exam classes follow a core text book with supplementary materials to suit the needs of the group. 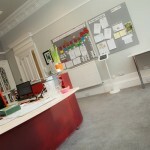 Materials include laptops, DVDs, CDs, newspaper & magazine articles. Exam type tasks are given as homework and student progress is also monitored through class performance. You receive extended support and advice from tutors.The terms last for 12 weeks, although students can join at any time and study for the remainder of the term. These communicative FCE exam course will focus on the five areas of the FCE exam. The FCE classes are based on lively topics which engage students in real life situations while developing exam techniques. Each lesson will allow students to practise and improve their speaking, writing, reading and listening and develop grammar, vocabulary and pronunciation.The FCE exam classes follow a core text book with supplementary materials to suit the needs of the group. Materials include laptops, DVDs, CDs, newspaper & magazine articles. Exam type tasks are given as homework and student progress is also monitored through class performance. You receive extended support and advice from tutors.The terms last for 12 weeks, although students can join at any time and study for the remainder of the term. This full time IELTS course is designed for students who are preparing for the IELTS exam over an extended period. It is most suitable for students who need to improve the effectiveness of the strategies and techniques for the IELTS exam. The course develops your familiarity with the different parts of the exam and offers extensive practice opportunities. This IELTS course is designed for students who are preparing for the IELTS exam over an extended period. The course helps you to pass the IELTS exam with the score you need. It is most suitable for students who need the strategies and techniques for the IELTS exam but who also require additional input on grammar and vocabulary. The course focuses on preparing you to meet the marking criteria of the writing and speaking parts of the exam and improves your technique for the reading and listening tests. The IELTS course is offered at 2 levels, Pre-IELTS Preparation and IELTS Preparation. The courses have the same components but are graded to your level. On this evening IELTS course, you'll become familiar with all areas to the exam and have time to practise the techniques which will quickly improve your IELTS score. Our Academic team have developed the materials to suit such a course as there are few texts which deal with IELTS preparation in a short space of time. The Intensive IELTS courses are designed for students who need a short course to prepare for an upcoming IELTS exam. The course is ideal if you need extra exam practice or if you have no knowledge of the exam and would like a short introduction to the techniques and skills essential to excel. 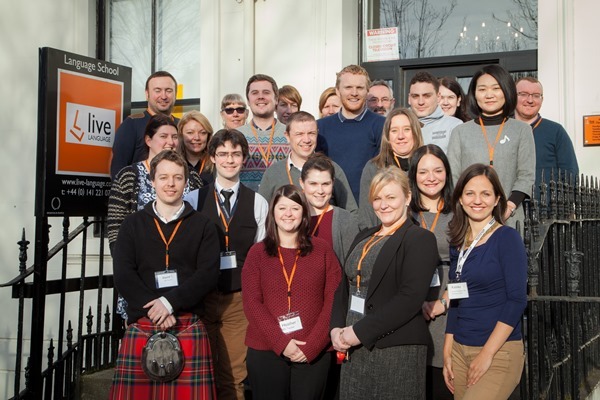 Learn all the English skills you need for meetings, negotiations, presentations and Business writing at Live Language in Glasgow on the Executive Immersion Course. The course will be a combination of productive skills focus, such as speaking in a variety of different business contexts, meetings, negotiations and especially presentations. You will take part in role-plays of business situations to learn and practise your English in a realistic setting. You will also undertake several written tasks, writing letters and business reports so you can get feedback on your written work, identify and eliminate problems.We strive to make all our classes enjoyable and interactive and we follow the communicative methodology, enabling trainees to practise what they have learned to build their confidence in speaking. We encourage students to think in a new language and to carry their knowledge over into action, applying words and concepts to real-life situations. Our General English courses are designed to provide you with the skills and language knowledge you need to be able to use English in a variety of situations. Whether you want to travel, work, live or even study in an English-speaking environment, the courses help you to develop the knowledge you need to use the language effectively. Our classes are small to ensure that you get the highest level of attention from your teachers. The classes integrate grammar, vocabulary and pronunciation with speaking, listening, reading and writing skills. Our experienced, native-speaking teachers use a communicative methodology, which gives you the maximum amount of time to practise your English. 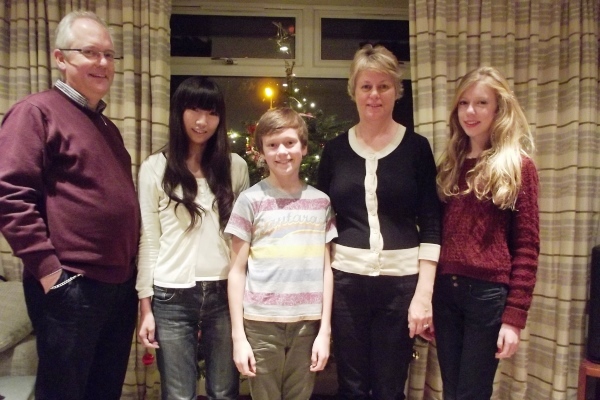 Live Language offer evening courses in General English at various levels. The day and time of each class depend on the level. 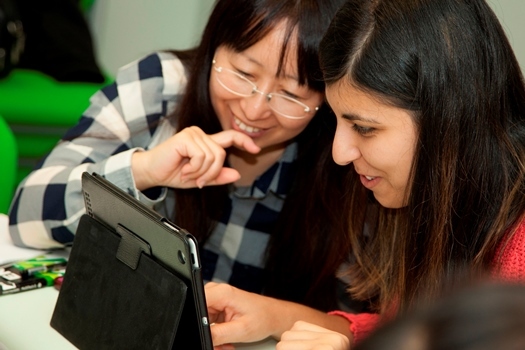 Each term is 12 weeks long, however students can start at any time and study for the remainder of the course.Our General English Evening Courses help to develop all your language skills. 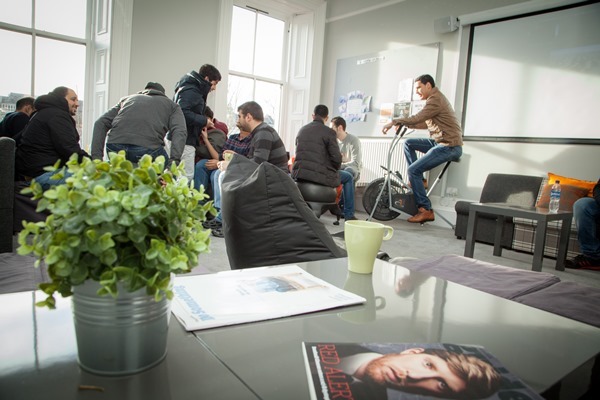 The courses are suitable for people wishing to brush up their English skills, those who need English for work or people working towards a Cambridge exam. 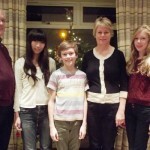 Reading, writing, listening and speaking are covered in the classes as well as grammar, pronunciation and vocabulary. The courses, however, are tailored to the needs of the group so, for example, you may find that you and your classmates would like a stronger focus on speaking and listening. In this case, the course material would be adapted to meet these needs. 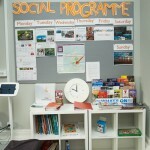 The teacher will also supplement the text with authentic materials such as DVDs, newspapers and magazines. All the class activities and materials are designed to make the lessons lively and allow the learners to communicate in English as much as possible. Please get in touch for info. If 25 hours isn’t enough, try our 30-hour Intensive Plus course. It’s a combination of a 25-hour course, and out the course with English and Job club included. These one-to-one lessons let you focus on your specific language needs and are designed to meet your requirements and will help you achieve your aims efficiently and quickly. You can also combine these lessons with General English Group lessons so that you can improve your general level of English in a group setting.We will ask you about your individual language and professional needs before you join the course. Typical class topics include: presentations, meetings, describing processes, email, negotiation, and social English, depending on your specific requirements. You will take part in role-plays of business situations to learn and practise your English in a realistic setting. You will also study grammar, vocabulary and general English skills such as listening or writing, in a business context. This highly communicative course can be taken to prepare for the CAE exam. The courses introduce vocabulary and grammar, which will help you pass the Cambridge exam. 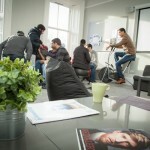 The classes cover the essential exam tasks such as describing photographs, writing an essay or discussing your opinion. Although vocabulary is a key element of the course, the students will be expected to continue to enrich their vocabulary outside of the school if they wish to achieve success in the exam. The class follows a core course book with supplementary materials to suit the needs of the group. The course also focuses on techniques and coping strategies to deal with all sections of the exam: Listening, Reading, Writing, Speaking and Use of English. Each component is dealt with in great detail, including analysis of the marking criteria used by the examiners and provides students with extensive practice time using exam papers to improve their performance. In this Package we have included your English course, accommodation cost, registration Fee, accommodation booking fee and book. By booking the full package with Live Language and not the separate parts, we are saving you almost £30 per week by including everything in one fee. AND we book the accommodation for you to save you time and stress. 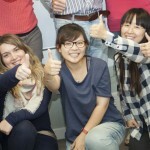 The course is designed for students who are studying English for a short time during the summer months and want to study a more intensive English class. Classes are available starting every Monday from the beginning to the end of the summer term. The classes combine General English with a skills class to help you improve your performance in areas such as listening, speaking or English for Business. 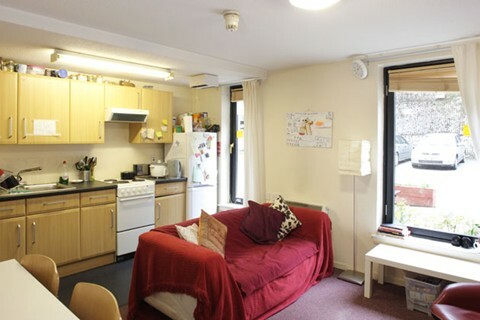 Standard Homestay and Student Accommodation . 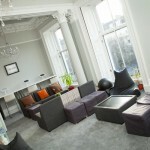 We will also give advice on other types of accommodation you require. 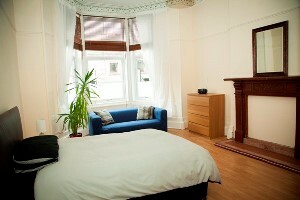 Standard - single or shared room with breakfast and dinner, packed lunches can be arranged. 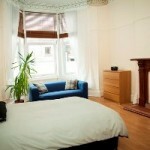 Executive - single room, private bathroom, breakfast, packed lunch and evening meal with wine. 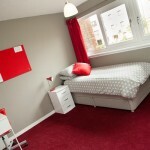 All year round student accommodation - single room, located in the West End, 15 min walking from the school. 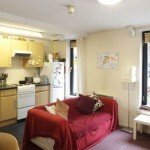 Summer only Student Accommodation - single room, located in the City Centre, 10 min walking from the school. We can arrange transfers from/to local airports (Glasgow International, Glasgow Prestwick, Edinburgh) Price on application. 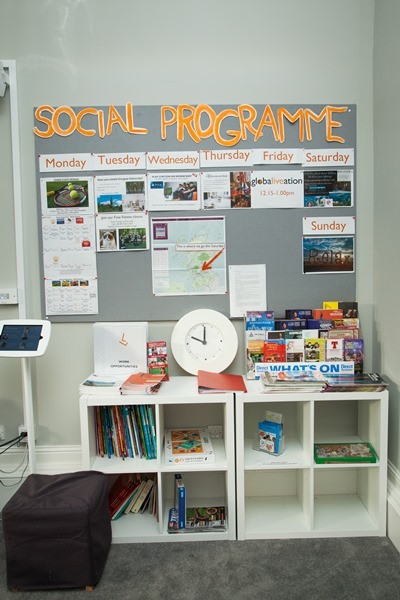 The Social Programme is another student service which enriches their experience of Scotland and Glasgow. 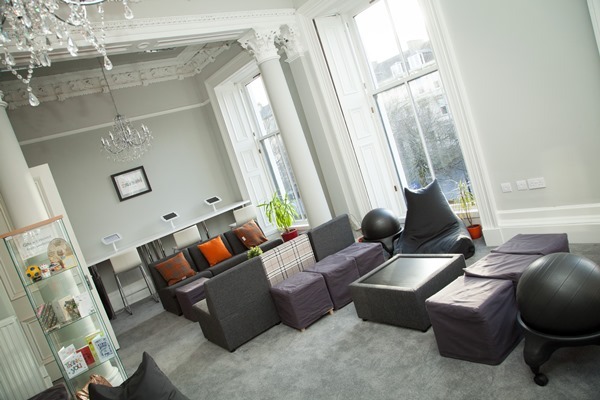 Students help to plan the optional events and excursions to suit their interests, and can improve their English skills while experiencing Scottish culture. 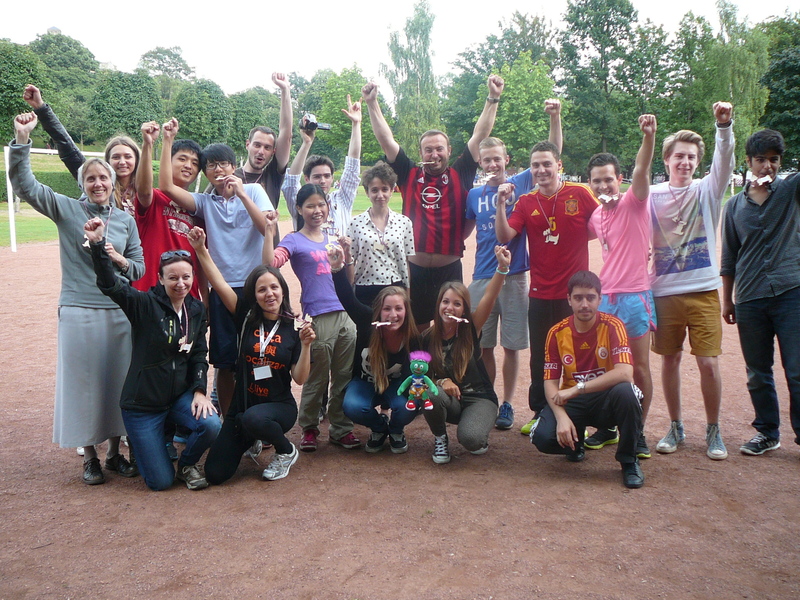 Our students organise a football match most Fridays (in summer!) 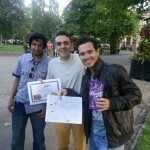 in Kelvingrove Park. You might even see the football skills of some of the teachers!! We have a Ladies Exercise class at school on Wednesdays at the lunchbreak in room 6.